Have you seen this? It's too much fun not to share. Your books Cheri and The Last of Cheri have put me through the emotional wringer! But I mean that in a good way. It feels as if I have walked alongside your characters as they strolled through those lovely Parisian gardens. Your characters are so real! They were truly the best part of this novel. First there was Lea, an aging courtesan involved with Cheri, the son of her friend Charlotte. Then there was the handsome Cheri (Fred), a play-boy type half her age. The exploration of his relationship with Lea in the first book was perfectly done. The inevitable breakup comes as he marries. However, neither has fully realized the importance of their relationship or imagined how difficult ending it would prove. And, the ending? Although predictable, it was still very powerful. My husband, upon observing my mood while reading, said a couple of times "I don't think I like the book you're reading." Whatever... I loved it and can't wait to meet a new cast of your marvelous characters. Thank you. 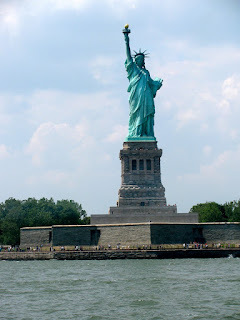 TSS: Live, from New York..
... it's Sunday morning! Corny, I know, but let's blame it in on the humidity. It's a hot, muggy, sticky morning in New York City. Perfect museum weather. Our itinerary includes the (air-conditioned) Metropolitan Museum of Art, The Cloisters, and, with luck, the Tenement Museum. I'd like to find time for Housingworks Bookstore, too. 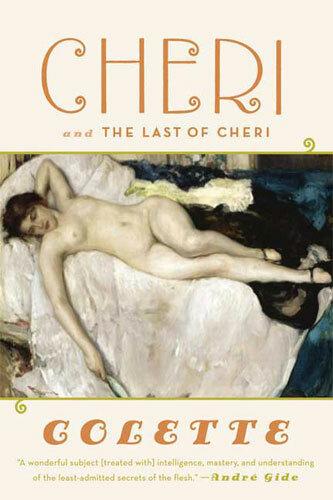 On the reading front, I finished The Last of Cheri, and will post a review later this week. 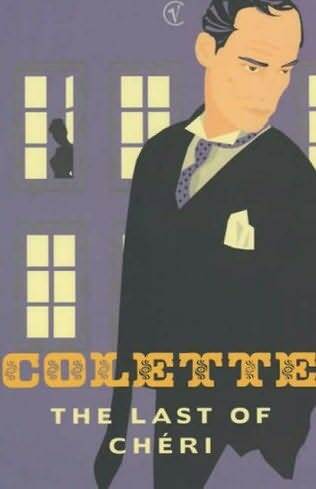 I'll definitely keep an eye out for more titles by Colette today. 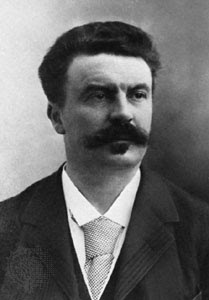 Paris in July continued with "Farewell" by Guy de Maupassant, my Short Story Monday offering. A Year in Japan, my warm up act for The Japanese Literature Challenge 4, was featured on Thursday. 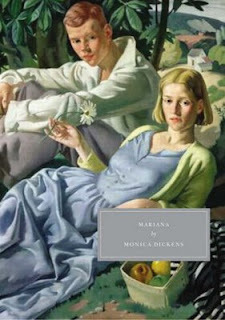 My current read is the Persephone Classic Mariana by Monica Dickens (great-granddaughter of Charles). I'm just under 100 pages in, but it is proving to be an ideal summer read. My husband agreed to let me continue listening to The Immortal Life of Henrietta Lacks by Rebecca Skloot during part of our drive yesterday. Have I mentioned what a wonderful book this is? I'm impressed with the author's extensive research, but just love how it's all put together in an incredibly readable (listenable?) manner. This is one fascinating book! Hope you're all enjoying the weekend.... and staying cool! 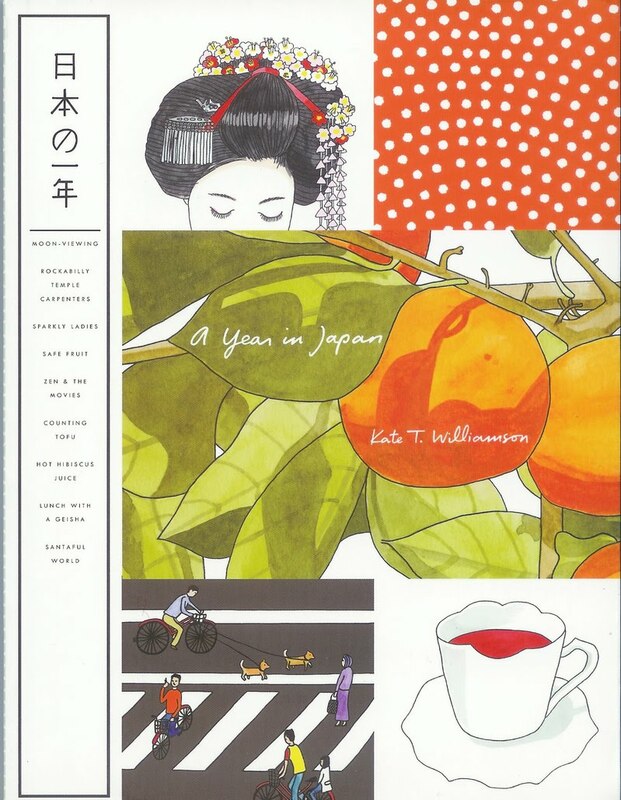 The Japanese Literature Challenge 4 is underway and, while this lovely graphic travel memoir may not officially qualify, it has served as the perfect warm-up! 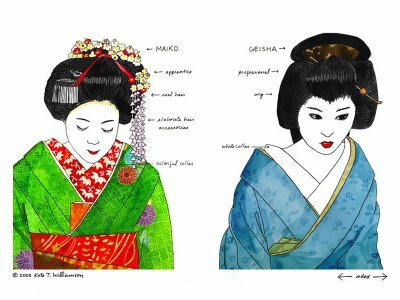 The charming watercolors and journal-like essays touch upon so many aspects of everyday life in Japan. Through entries like KEITAI (cell phones), MOON VIEWING, KARAOKE: THE IMPORTANCE OF BEING EARNEST, and FUNKY MONKEY BABY, I learned interesting bits of Japanese culture. Who knew there was such a thing as an electric rug? and the incredibly elegant Japanese taxis. An hour spent with this gorgeous little book will surely motivate you to pick up one of those Japanese novels waiting on your shelf! FTC disclosure: I bought this book from amazon. Unfortunately, my library system does not own a copy. I just started this morning, but I think Mariana is going to be an excellent summer read! Teaser Tuesday is hosted by Miz B at Should Be Reading. The opening sentences set the Parisian atmosphere. "The two friends were getting near the end of their dinner. Through the cafe windows they could see the Boulevard, crowded with people. They could feel the gentle breezes which are wafted over Paris on warm summer evenings and make you feel like going out somewhere, you care not where, under the trees, and make you dream of moonlit rivers, of fireflies and of larks." But the story quickly takes a more thoughtful turn as one man (perhaps 45 years old) laments growing old. Where he formerly felt full of life on such an evening, he now experiences pangs of regret. 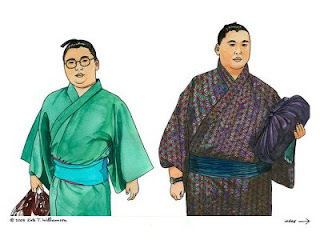 His older friend, who is thinner and more lively, remarks that he, personally, had aged without even noticing. "As one sees oneself in the mirror every day, one does not realize the work of age, for it is slow, regular, and it modifies the countenance so gently that the changes are unnoticeable." "And the women, my friend, how I pity the poor beings! All their joy, all their power, all their life, lies in their beauty, which lasts ten years." The man goes on to recount a three month love affair and how, upon a chance meeting twelve years later, he failed to recognize the woman. A comment from the woman causes him to take a good look in the mirror and, finally, come to terms with his own altered appearance. "At night, alone, at home, I stood in front of the mirror for a long time, a very long time. And I finally remembered what I had been, finally saw in my mind's eye my brown mustache, my black hair and the youthful expression of my face. Now I was old. Farewell!" I loved this story! It resonated so strongly with me. I am "of a certain age" and, as I celebrate a birthday later this week, think not only about that increasing number, but of changes reflected in my mirror. You may read the story for yourself here. Short Story Monday is hosted by John Mutford at The Book Mine Set. Paris in July is sponsored by Karen and Tamara. Good morning! It's a lovely summer morning here by the lake, so I'll just type a quick post before heading out to the Adirondack chair with another cup of coffee, a book, and the newspaper. It hasn't been the most productive reading week, but I did spend some time on my own personal "bloggiesta". My current books are the same: The Last of Cheri by Colette (will finish today) and, on audio, The Immortal Life of Henrietta Lacks by Rebecca Skloot. 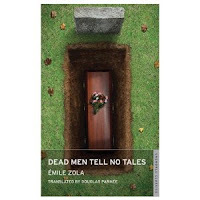 I also read a few short stories by Emile Zola from Dead Men Tell No Tales and wrote a Zola post for Paris in July. As for the bloggiesta, I changed to one of the new blogger templates, put up a new header photo, and started updating my blogroll (thanks for the motivation, Thomas!). The blogroll is becoming quite an undertaking, and I'm still trying to decide how to handle it. Yesterday I tried to experiment with a 3-column format, but couldn't get into blogger template designer at all. It seems to be working today, so maybe I'll try again later. Diane had some difficulties with this template looking a little strange with Internet Explorer, so we'll see. Any feedback would be appreciated. After some morning reading and dog walking, I need to spend time cleaning up the flower garden and weeding. A family dinner is on tap for later this afternoon. What are your plans for the day? 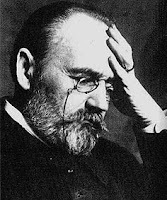 Paris in July wouldn't be complete without spending time with Emile Zola. My fascination began about eighteen months ago when a former blogger's review inspired me to pick up Therese Raquin (my review). The novels offers an amazing portrayal of the effects of guilt and is truly one of the best psychological dramas I've read. The Classics Circuit's April tour provided the motivation to return to Zola. This time, I chose The Ladies' Paradise (my review) from the Les Rougon Macquart twenty novel series. The 1883 novel focuses on the rise of the modern department store in Paris and has a surprisingly contemporary feel. From the owner/capitalists, to the workers, to the nearby small businessmen with eroding livelihoods, Zola puts a face to all sides of the issue... and I put Zola on my list of favorite authors. On my most recent visit to New York City, there was an opportunity to browse the cozy Shakespeare & Co.'s Broadway location. Lately, I have fallen into the habit of perusing the "Z" shelves. Without fail, the only titles available in my city are Therese Raquin, Nana, and Germinal, so I'm always curious to see what else might be out there. Several out of the ordinary titles were in stock, but it was The Belly of Paris that caught my eye. I love food, cooking, and culinary concerns in general (Lakeside Kitchen is my other blog), plus I was reminded of Karen's wonderful review. There were even two translations available! This was too good to pass up. After sampling a portion of each, I settled on the Modern Library Classics edition translated by Mark Kurlansky. My plan is to read this in the fall. Finally, there was the collection of short stories Dead Men Tell No Tales. 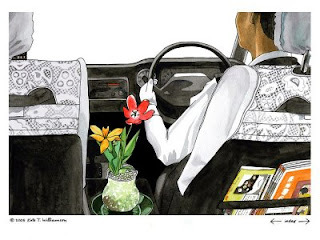 Regular reader of this blog know I rediscovered short stories last year and try to participate in Short Story Monday regularly. How could I pass up an opportunity to sample some of Zola's short fiction? "The Girl Who Loves Me", written in 1864 when Zola was just 24 years old, appeared in his first collection of stories. The eleven pages center around a carnival attraction called The Mirror of Love. For a mere two sous, men are encouraged to step forward and gaze upon "the girl who loves you". "Is the girl who loves me a fine lady dressed in silk and lace and jewels, reclining on a sofa in her boudoir, dreaming of our love? Is She a marchioness or a duchess, as light-footed and dainty as a dream, languorously trailing her long flowing white gown over sumptuous rugs with a charming pout, softer than a smile, on her lips?" It moves on with a beautiful, detailed description of the fair itself. I was reminded of passages from The Ladies Paradise describing gorgeous silks or those in Therese Raquin when Camille's decomposing body lies in the morgue. Zola certainly paints a vivid picture with his words! Eventually, the story settles into themes his novels will explore in greater detail. Human wants and desire are examined. Zola shows what happens when they collide with life's harsh realities. This is definitely the work of the young writer whose work would come to be so strongly associated with Naturalism. I'll continue reading this collection throughout the summer. Have you read Zola? Do you plan to? 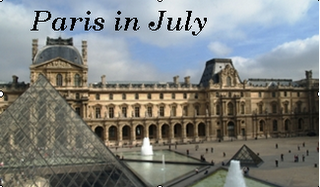 Paris in July (hosted by Karen and Tamara) would be an idea time to start. Good morning! The heat wave has finally lifted and it's a beautiful, sunny morning in upstate New York - perfect weather for the Boilermaker Road Race that kicks off as I type. No, I'm not running, but my husband is one of nearly 13,000 in the 15K race that winds through the neighborhoods of Utica and ends with a big party at the Saranac Beer brewery. My morning plans are a little quieter - another cup of coffee, a Sunday Salon post, visiting a few of my favorite blogs, and walking the dog. It has been a productive reading week, for a change. 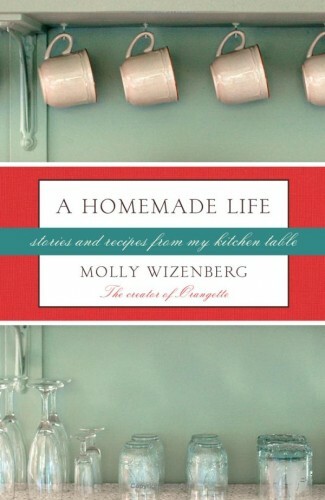 I finished A Homemade Life by Molly Wizenberg, The House at Sugar Beach by Helene Cooper (my review here), and even read a couple stories by Emile Zola. Today I'll spend time with The Last of Cheri by Colette and listen to the audio version of The Immortal Life of Henrietta Lacks by Rebecca Skloot while I walk the dog. Later this afternoon, most of us will celebrate my niece's sixth birthday. I'm assuming hubby will be tired after the race, but maybe I can convince him to watch Gigi with me later tonight. Did I mention how much I'm enjoying Paris in July? I hope you're all having a good weekend. Will you be spending any time with a book today? In this poignant memoir, New York Times journalist Helene Cooper tells the story of her privileged Liberian childhood cut brutally short by a bloody 1980 coup, her family's escape and survival, and twenty three years later, her return to her native country to find the foster sister her family left behind. The cheery yellow cover prominently displayed in area Starbucks first caught my eye, but it would take another year to download the audio version from audible.com. Although my knowledge of Liberia is limited, Cooper provided just the right amount of historical background to make sense of the political unrest, coups, and years of civil war. What I found even more fascinating, however, was the juxtaposition of political tensions with typical teenage concerns. While Cooper was growing up, the riots and executions occurred alongside the Sadie Hawkins dance, a new crush, and her reading of the latest trashy romance novels. Cooper's family belongs to the elite group known as "Congo" people. Their ancestry can be traced to the first settlers of freemen that came from New York in 1820 and founded Monrovia. She was raised in a mansion with servants and attended private school. As was often the custom, the family took in a Bassa girl, named Eunice, as a foster child and raised her as their own. Her relatives held high government positions before the coup. Afterwards, some were executed and some fled. 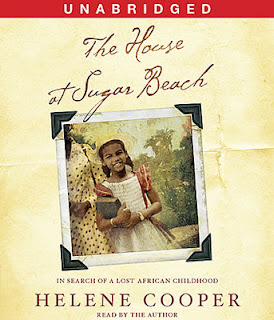 Eunice went back to her village when the Cooper family left in 1980. "When we climbed aboard Pan Am 150, we were privileged, elite Congo People. When we arrived in Knoxville, we were African refugees." Cooper's high school and college experience, cultural assimilation, and career in journalism (inspired by reading All The President's Men) is the focus of the rest of the book. A job with The Wall Street Journal job allowed her to travel the world, but Cooper would not go to Africa. It was a near-death experience in Iraq ("wrong country, wrong war") that finally convinced her to return to Liberia... and Eunice. This was an excellent audio production. The author has a captivating writing style, but her own voice, especially when it came to Liberian English, added much to the experience. However, I also borrowed a print copy from the library since photos, maps, and a family tree are included. Highly recommended. 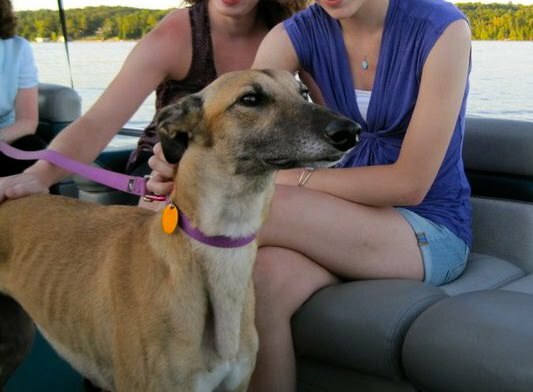 Zelda loves the lake, too! Happy 4th of July! Our celebration begins early this morning with a road race around the lake (I'll be encouraging the participants, but R will be running), followed by a community party at the finish line in the park. After that, we'll take a walk around the arts and crafts festival set up at the end of the lake. The parade steps off mid-afternoon, then it's back home for a family barbecue. Our extended family will gather for food, swimming, and boating. Later in the evening we'll roast marshmallows over the fire and make s'mores. The grand finale is always the fireworks display over the lake. I love Independence Day, and our town goes all-out for its celebration! 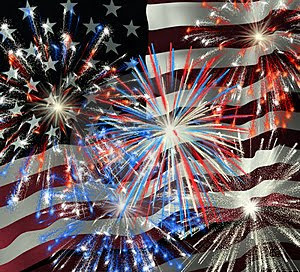 It's the 4th of July holiday weekend in the US and we traditionally celebrate our independence with fireworks, parades, and, of course, food. Our food is typically barbecue or picnic fare. My brother-in-law fires up his smoker for the meats, my sister makes her special pasta salad, my aunt always made sugar cookies decorated to look like watermelon slices, and now my daughter is gaining fame for her desserts. 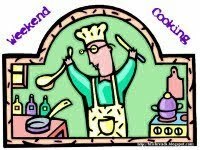 While each of us may be associated with a "specialty", we always share our recipes and love to try new ones. There's a passage I came across this week in A Homemade Life by Molly Wizenberg that perfectly reflects my family's recipe philosophy. Not all people, however, feel this way. I was reminded of "The Secret Ingredient", an essay by M.F.K. Fisher that I posted on last winter. 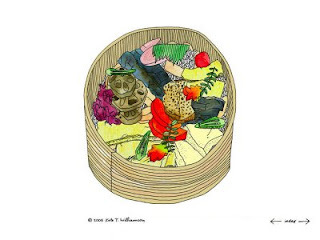 She wrote about Bertie Bastalizzo, who frequently prepared food for her friends and neighbors. She would include specific instruction on everything from how long to let the food "rest", suggested accompaniments, and even the type of bowl or tray to serve it on. But Bertie would not share her recipe! I'll guess we've all known someone like Bertie - for me it was my mother's friend Tina. 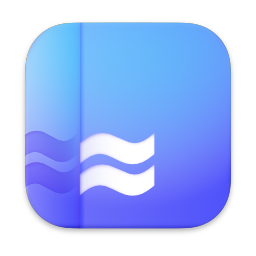 So here is my question of the week: What are your thoughts on "secret recipes"? Do you always share, or is there one guarded family treasure? Are you a Molly or a Bertie? We are two friends with a deep interest and love of French culture and way of life - although we experience and demonstrate this passion in very different ways. Karen has only recently discovered the magic of Paris - the city, the architecture, the fashion and the literature whereas the French experience has been a part of Tamara's life for a long time, leading her to learn the language and experience the culture in a deeper way. But for both of us as Australian's, the reality of traveling to France is a costly and timely experience - so we need to find ways of bringing France to us! So, in order to help us do that we will be jointly hosting a French themed blogging experience running from the 1st - 31st July this year called "Paris In July". The aim of the month is to celebrate our French experiences through reading, watching, listening to, observing, cooking and eating all things French! There will be no rules or targets in terms of how much you need to do or complete in order to be a part of Paris In July - just blog about anything French and you can join in.